A new approach to accounting that allows us to work closer with our clients to better understand their needs and advise them on the things that really matter, adding value to their business. To find out more about Xero online accounting (cloud accounting) please just get in touch. We love technology and by using Xero and the latest add-on solutions we are able to achieve so much more than a traditional accountant. We can be available for our clients throughout the financial year to help solve their problems, leaving them free to focus on what they do best; running and developing their business. 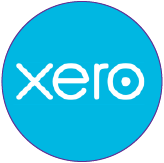 Contact us about Xero package deals and more information. Get paid faster – Connect seamlessly with customers through online invoicing and receive updates when an invoice is opened and viewed. Also with clear reporting on overdue invoices it is easy to target people who owe you money. Mobile access – Run your business anywhere, from any device. Check balances, upload receipts and invoice customers where ever you are. Run your business and access your accounts from work, home, or on the go. Automatic bank feeds and bank rules – It’s easy to reconcile more often as Xero receives your bank statement lines automatically. You can reconcile from anywhere. Unlimited Users – Add as many users as you want – it’s free. Work together as a team on financials. Collaborate online with your accountant to get the advice you need. Create reports with the click of a button. View and share interactive reports and budgets in real-time, all prepared with a single click. Bring in your accountant to quickly prepare management figures for other reporting purposes or for your bank. Unlimited email support from Xero – Never waste time being put on hold again with free unlimited email support from experienced teams. Xero have teams located in different parts of the world to ensure around-the-clock coverage for a quicker response time. Free and unlimited updates – Worry-free maintenance as software updates are automatic and seamless. Every 3–6 weeks Xero release innovative new features and enhancements based on ideas from their customers.